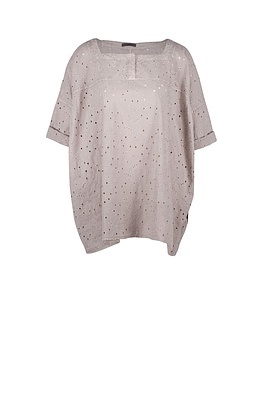 This OSKA blouse’s fashion spirit is: casual, relaxed and easy to wear. Design expertise and high quality material give it a beautiful swinging outline – despite its oversize format. For a strong contrast, show them with narrow straight trousers. 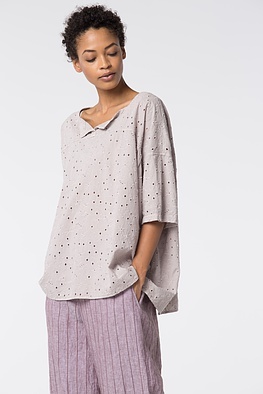 You will get a sculptural silhouette with a WOW factor when you team it with wide and bulky cut trousers. Small folds and the square neckline with a slit all add a feminine flair.